The Paris Spy (Macneal) – Joyce's mystery and fiction book reviews with some non-fiction too! I blogged on this book in June 2017. The review may be found in my archives. I enjoy the Maggie Hope series and am currently reading the author’s soon to be released next book courtesy of NetGalley. 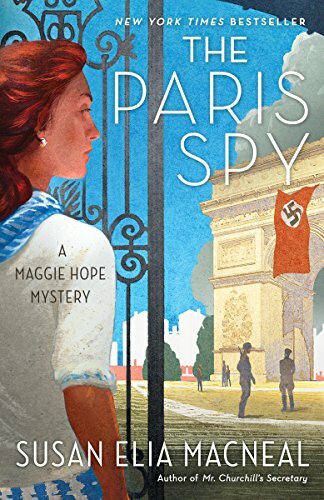 The Paris Spy is an e-book bargain today at $1.99. You can catch up and then, later this summer, read The Prisoner in the Castle, the novel that I am currently enjoying. If you like WW II mysteries with a female protagonist, the series could be for you.